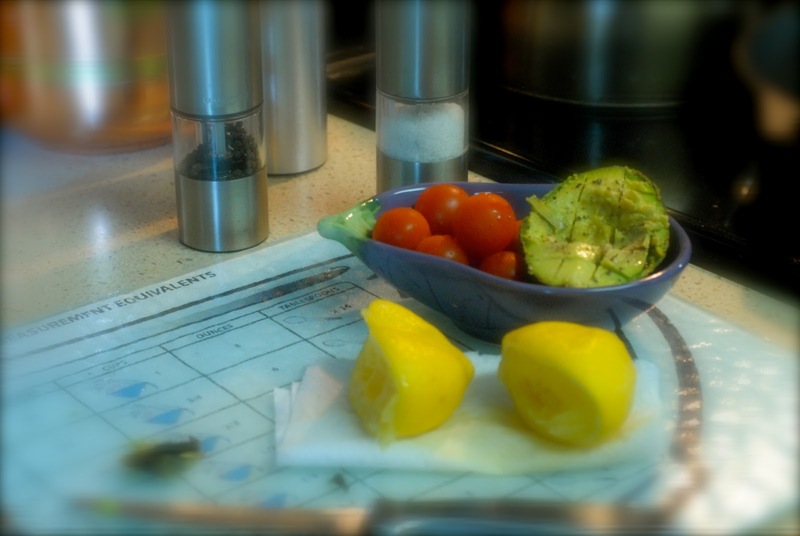 Dinner: My stomach was a little upset so I just had an avocado, which I squeezed a lemon over and seasoned with salt and pepper. I had that with cherry tomatoes… I love the creamy, tangy avocado with the naturally sweet cherry tomatoes. Snack: Banana with some crispy roasted parsnips and carrots. Again, shockingly good. The sweet, smooth, creamy banana complemented the crunchy, sweet-salty parsnips really well. You took a bite of one and craved the taste of the other right afterwards! 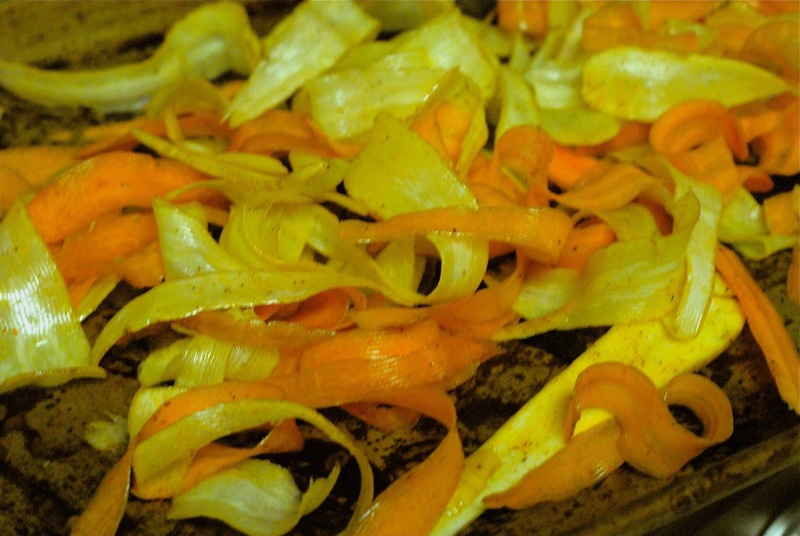 I used a mandolin and sliced the carrots and parsnips really thin, drizzled melted coconut oil over the “ribbons” and then seasoned them with salt, pepper and a touch of cumin. I tossed all of those together on a baking sheet and baked them at 375 for 15 minutes. Not a very exciting day. I am hoping to get cooking again tomorrow!